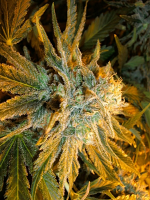 Sensible Seeds Premium Selection of cannabis seeds came to fruition working with the most experienced breeders in this industry - we have developed a range of truly outstanding Feminized and Automatic strains you will ever have the pleasure of owning. Many years of rigorous testing and cross breeding established strains with Old Skool favourites have produced a quality assured range of Top Genetics. 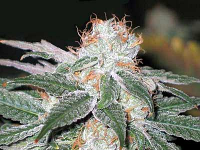 Sensible Seeds Premium Selection has been developed with the medical marijuana user in mind and there is relevant info in each strain description as to how it can be of benefit. Be sure to check out our Flagship cannabis strains....CBD Nuke'Em and CBD Apocalypse - both have High CBD levels and the optimum 1 to 1 ratio of CBD to THC.... Perfect! New Premium strains are being developed and we will release these to you once they have passed Quality Control... Join our Mailing list for updates!